The therapy groups are focused or topical, i.e. the clients all have similar difficulties and the therapy is focused on the same areas of concern. They are also time-limited, in that they are limited in the amount of time they will run – in this case, for three separate sessions. Groups may be successfully run with a heterogeneous mix of clients, i.e. different genders, different ages, different occupations, and so on. 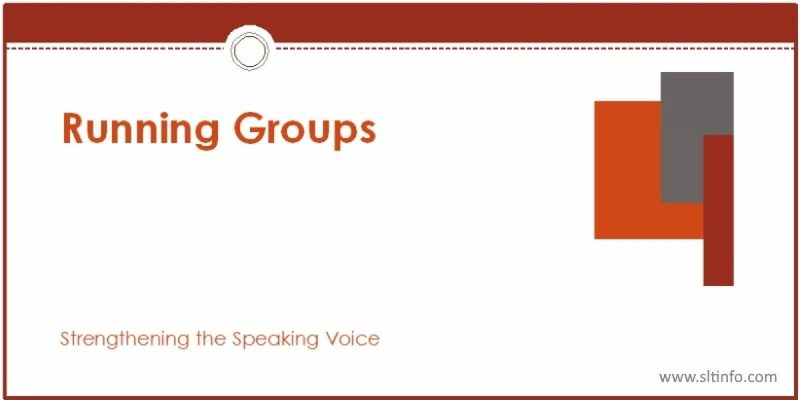 These varying backgrounds can be a source of strength in a group situation. However, the groups could also be run for homogeneous clients, e.g. a group just for teachers; a group just for Call Center workers. While there are benefits from the social interaction that only groups can offer, it is important to recognize that some people may be anxious about participating in group therapy. This may be because they do not want others to know about their difficulties or, perhaps, that they simply feel uncomfortable working alongside people they do not know, or any number of reasons. It is important, therefore, to indicate in the first session that personal information shared between clients is confidential and is not to be discussed outside the group. Usually, the need for mutual confidentiality is sufficient to preserve privacy. My experience is that most clients who attend group therapy benefit from this type of social encounter for some, or all, of the following reasons. Clients learn, for example, that they are not alone in experiencing ongoing voice difficulties. Clients can practice new ways of using their voices in a safe environment. Clients can learn from the experiences of others. Clients are encouraged to think, explore their feelings, and make behavioral changes, gaining support from others. It is necessary, however, to be alert to the needs of the clients as individuals and to recognize that some clients may not, in fact, benefit from this mode of therapy. In such instances the voice therapist should take an appropriate opportunity to discuss any concerns with the individual and re-consider whether individual therapy sessions might be more advantageous. For groups to run successfully, the following tips are provided. Be clear what the purpose of the group is. You will presumably have sent each client some form of written invitation and this can be used to set out the purpose and scope of the group (an example invitation letter is provided in Appendix 1). Ensure you have booked/have available a comfortable room that will readily accommodate the number of clients you have invited. Ensure that the room has appropriate furniture. Soft, low, sofa-type seating, while aesthetically pleasing and conducive to a relaxed atmosphere, is not suitable for conducting voice therapy, where attention must be given to establishing appropriate posture. Sturdy, office/conference chairs, preferably without arms, are more suitable. Arms on chairs tend to encourage clients, quite naturally, to rest their arms on them and this can have the effect of raising and bringing forward the shoulder girdle, thereby creating unnecessary muscle tensions. At the first session, ensure there are proper introductions. Introduce yourself and ask the clients to do the same. Clarify the purpose of each session and ensure everyone understands what they are. The aims of each session are clearly cited in the Voice Packs. While it is not usually necessary to engage in ‘getting-to-know-you’ activities at the first session, discussion of information in the included Functional Voice Difficulty leaflet and/or the Do’s and Don’ts sheets can be used to establish rapport and serve as a vehicle for clients to get to know each other. At the second and third sessions it is useful to begin with a quick revision of exercises from the previous week and to briefly explore any difficulties group members may have experienced, together with reports of successes. During sessions try to ensure that all clients feel that they have been listened to and understood.